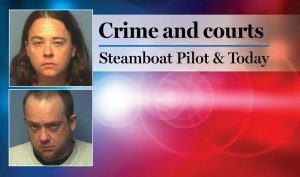 10 a.m. Steamboat Springs Police Department officers were called about vehicles parked on both sides of the road in the 3200 block of Snowflake Circle. The caller worried a fire truck would not be able to fit through in the event of an emergency. 11:16 a.m. Oak Creek Fire Protection District firefighters assisted a person who was having a seizure in the 25500 block of Coyote Lane in Oak Creek. 11:22 a.m. An officer saw smoke coming from a car in the 1500 block of Lincoln Avenue and thought it had caught fire. It turned out to be smoke coming from the engine, but there was no fire. 3:26 p.m. An employee of a multi-use complex in the 100 block of Lincoln Avenue called officers about a man who was suspected of masturbating inside a sauna. 4:09 a.m. A caller informed officers about a dog with no collar or tags at Conifer Circle and East Maple Street. 5:06 p.m. Officers received an animal complaint along Blackmer Drive. Two women reportedly had four to five dogs that were off leash and jumping on people. 5:46 p.m. Routt County Sheriff’s Office deputies picked up a hitchhiker at mile marker 12 along Routt County Road 179 and gave him a ride to Hayden. 9:42 p.m. Officers contacted people who were having a party with loud music in the 2500 block of Village Drive. The partiers agreed to turn down the music. 11:29 p.m. A resident in the 500 block of Seventh Street called officers about a man banging on their front door. The resident did not know the man and suspected he was intoxicated. Officers eventually found the drunken man and transported him to the hospital for detox. 11:56 p.m. A former employee of a business in the 10 block of Anglers Drive returned to the business and caused a disturbance. Officers issued a trespass warning. Steamboat Springs Fire Rescue firefighters responded to seven calls for service. Oak Creek firefighters responded to one call for service. West Routt Fire Protection District firefighters responded to one call for service.